Includes Blouse, Shorts, Purse, Gloves, Necklace and Headband with Minnie Ears. Earn 1 Point for every $1: Get 35 points rewarded to you when you buy this item. This ensemble is all smiles and delight...just like Minnie! 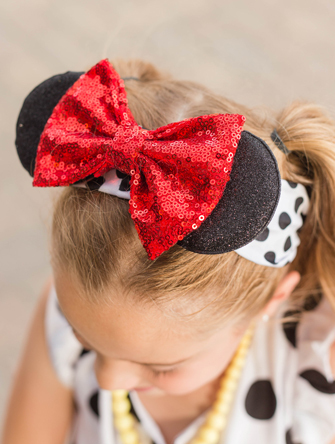 From the pearls to the polka dots to the cute little ears, this Disneybounding outfit is perfect to wear to the Disney parks or anywhere she happens to be going. The blouse is nice for a hot day with its roomy fit and lack of sleeves. 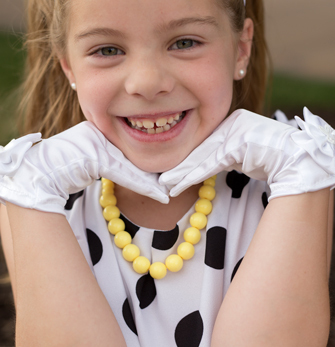 The outfit also includes the shorts, gloves, yellow beads, purse and headband with ears. 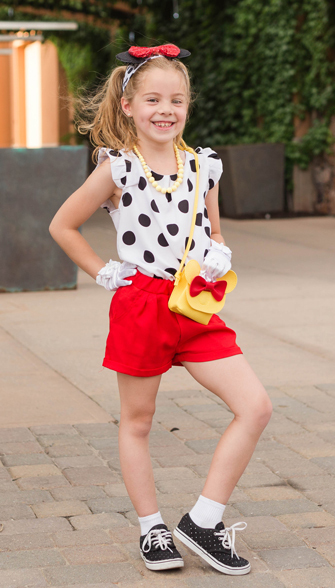 We love that it's not a costume, but regular clothes paired together to emulate Minnie as daily wear.